Home Features Discussion: Can Uganda contribute to modern Scientific advancement when 50% are illiterate? Of the remaining fifty per cent, most of them have hardly gone beyond O Level. Of the remainder, more than half do not possess a lifestyle of reading. They do not have a reading culture in their veins. Has Robert not read on the net the popular joke, “If you want to hide something precious from Ugandans, put it in a book”, they will not see it, because they have no reading culture. 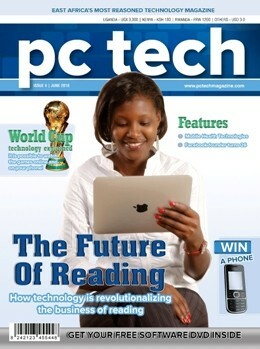 The popular computer publication, PC Tech Magazine, says a new reading culture, based on electronic gadgets, the ipad, ipone, e-book, online reading, the tablet, the notebook, has entered Uganda. The magazine is saying this amidst reports that 20 per cent of Uganda’s children reach Primary Seven without knowing how to read and write. In my dispatch yesterday, I sent you a copy of a letter to the Minister of Education and Sports, where I am calling for the initiation of a public debate on why Ugandans are still over fifty per cent illiterate. I am showing concern that there is hardly anything being done to make Ugandans love reading books, newspapers, magazines, etc. I am saying since Ugandans are not yet masters of the traditional reading culture of the print media, how can you expect them to be masters of electrronic reading gadgets. 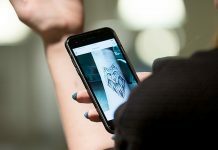 How can illiterate persons read books online? How can illiterate children be expected to operate lap tops in the Government policy of, A LAP TOP FOR EVERY SCHOOL GOING CHILD. In my effort to contribute to the effort to find a solution to make children, pupils, students, and the entire adult reading population, I researched, for five years, and I discovered why Ugandans do not love books, newspapers, magazines, to visit the library, and why they do not read. I came out with a formula which is appearing in the book, HOW TO ACQUIRE AN INSATIABLE THIRST FOR A READING CULTURE. It is amazing that the press, including The Daily Monitor, three moths after its pubication, have not yet reviewed this books. Yet, this is a book which is capable of opening people’s eyes to the necessity of loving books and reading them to acquire knowledge and wisdom. The importrant message is, Robert Kalumba, and the rest of Ugandans, should know that, “Uganda, or Africa, cannot enter the new era of electronic reading, like reading books online, or operarting complicated gadgets which can monitor Uganda’s voter register, or monitor oil exploration, oil production, monitor oil marketing, and trace the sales and revenue receiption, without using modern electronic gadgets.